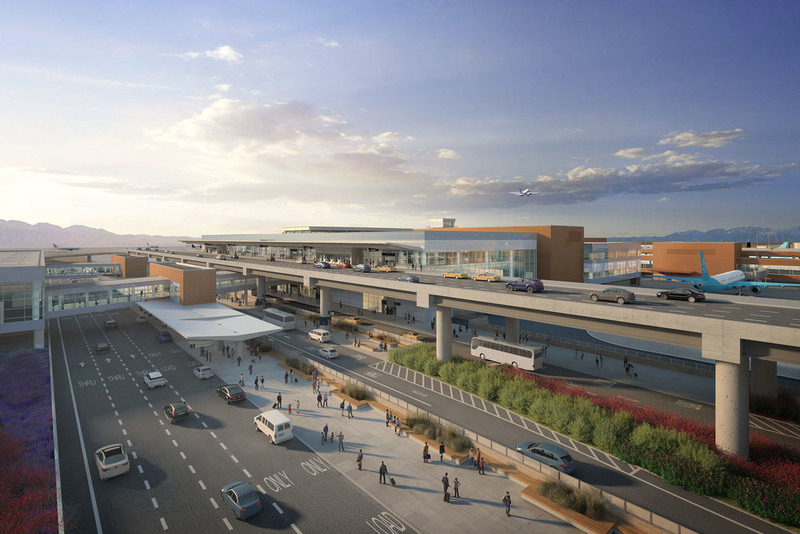 Salt Lake City officials recently unveiled the final design and renderings for the $1.8 billion Airport Redevelopment scheduled for completion in 2022. 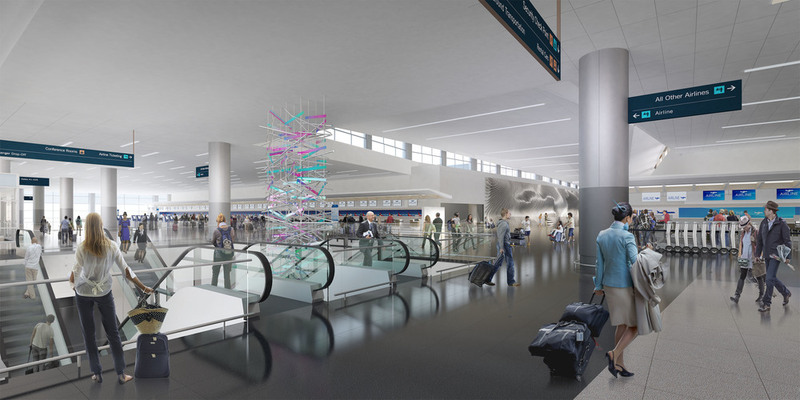 The redevelopment will include larger covered parking, terminal, and concourse buildings as well as multi-level arrivals and departure roadways. It will also provide much needed upgrades to the size of gate and greeting areas, passenger tech device services, security, earthquake protection, and flexibility for future growth. All apron (ground) level support spaces in the Concourses including all airline support spaces, concession support spaces, baggage handling support spaces, airport facility and janitorial maintenance spaces, and all nine loading docks. For a total of about 350,000 s.f. All roof areas for the Gateway, Terminal, and Concourses including roof drainage, roof walkways, window washing equipment, perimeter fall protection systems, thirty different roof access stair locations, and nine loading dock canopies. For a total of about 730,000 s.f. All connecting bridges from new concourses to existing concourses, temporary construction phase connecting bridges, the remodel of the International Building, and demolition drawings for the existing buildings. For a total of about 60,000 s.f. of new or remodeled space. Involved in a total of nearly 1.2 million square feet and responsible for about 200 drawing sheets of documentation. Read more about the Salt Lake City Airport project here.